I have been meaning to post a few photos from a trip to see the “Endangered” Yunnan Snub-nosed Monkey (Rhinopithecus bieti) during a short break to Yunnan Province in November. Situated a few hours north of Lijiang, in the foothills of the Tibetan Plateau, is a wonderful small reserve set in beautiful original forest where a troupe of these rare primates roam. The reserve staff put out food – fresh lichen – every morning, so the monkeys have become habituated and, with a bit of luck, it’s possible to secure some stunning views. 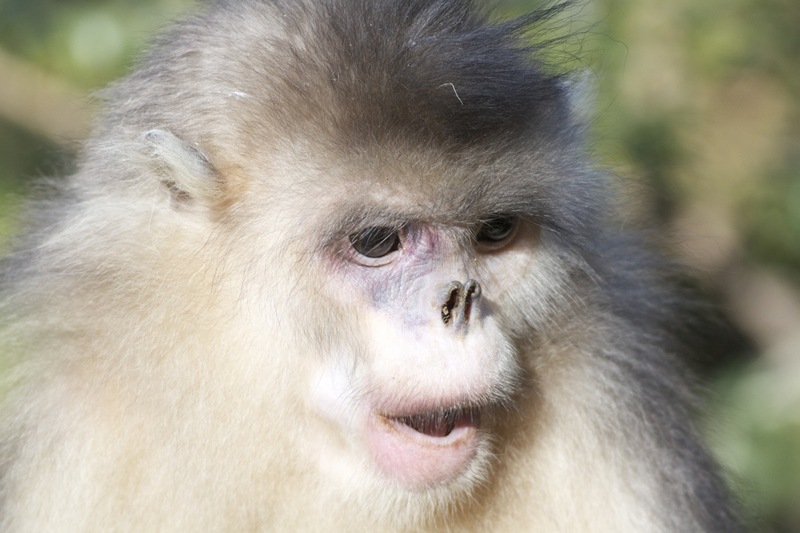 The Yunnan Snub-nosed Monkey is the rarest of 3 species of snub-nosed monkey in China and inhabits the highest range of any primate except man. It exists only in small fragments of original coniferous forest at 3,000-4,500m above sea level in northwest Yunnan and southeast Tibet, a habitat that experiences frost on around 280 days of the year. Unusually, their diet consists entirely of lichen and, although this food source is abundant and easy to digest, it is relatively poor nutritionally. And given that lichen can take up to 15 years to regenerate, the territory of this monkey can be large, with their home range covering as much as 25 square kilometres. 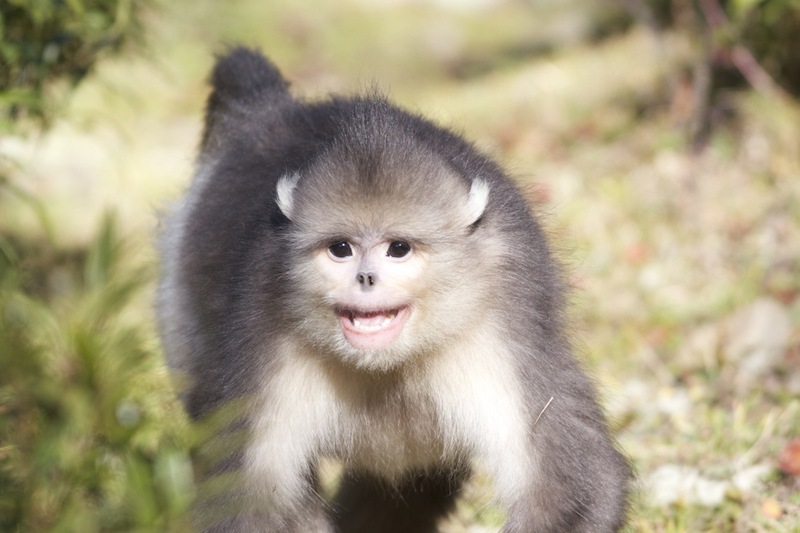 A young Yunnan Snub-nosed Monkey, north of Lijiang, Yunnan Province. Check out those human-like teeth! 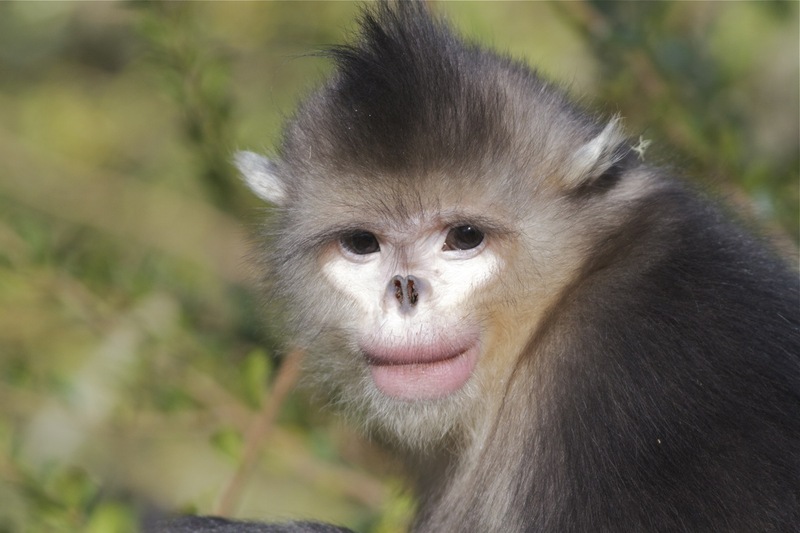 Yunnan Snub-nosed Monkey.. their nose reminds me of Michael Jackson! 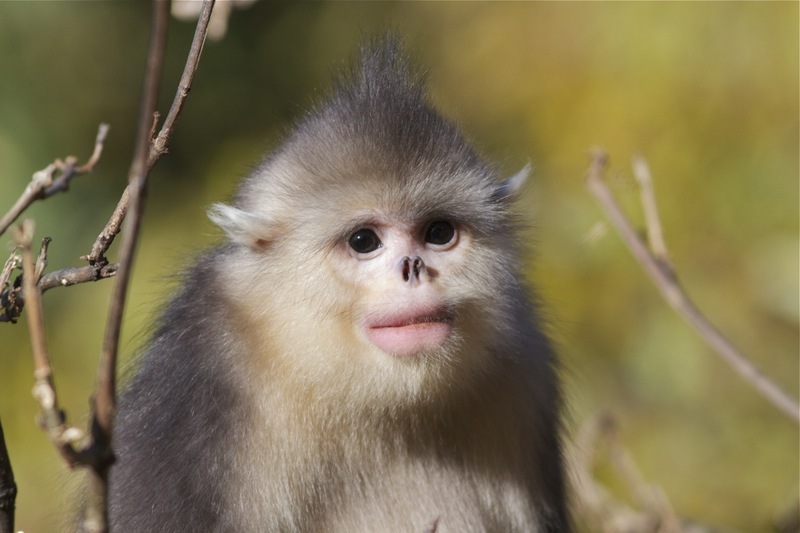 The snub-nosed monkeys (of which there are 3 species in China) are so-called because of their upturned noses, caused by a lack of nasal bones. They are said to sneeze loudly during rain, a characteristic that can betray their presence. In profile, the nose is even more striking. 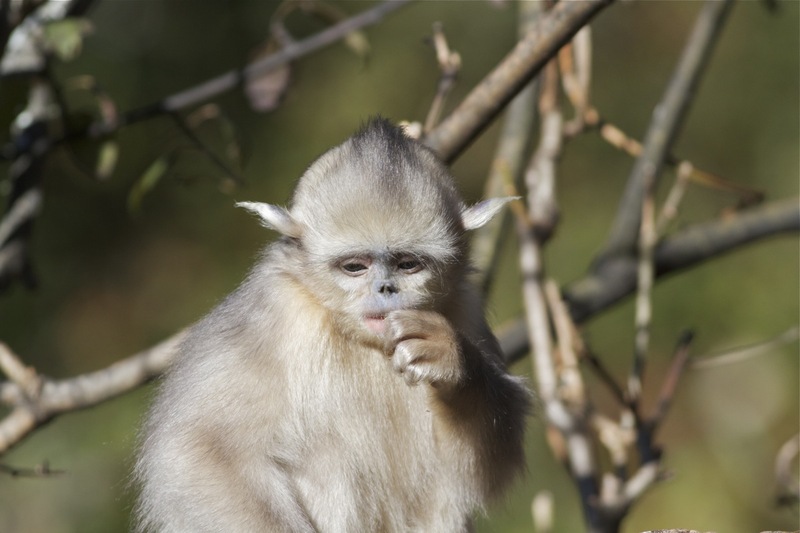 Yunnan Snub-nosed Monkey. Another youngster already displaying those characteristic thick lips. A very young individual. The coat gradually darkens as they age. 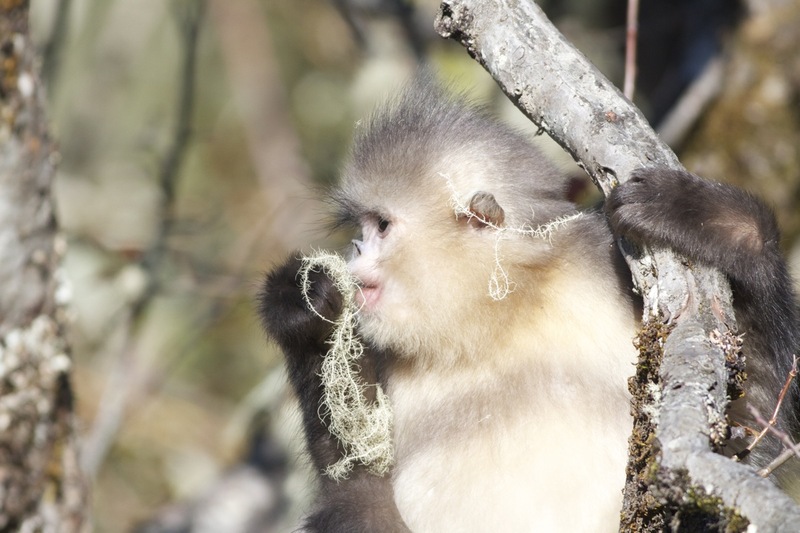 On return, I came across this wonderful article about the Yunnan Snub-nosed Monkey on Dr Martin Williams’s website. See here. Hehe, nice photos Terry. 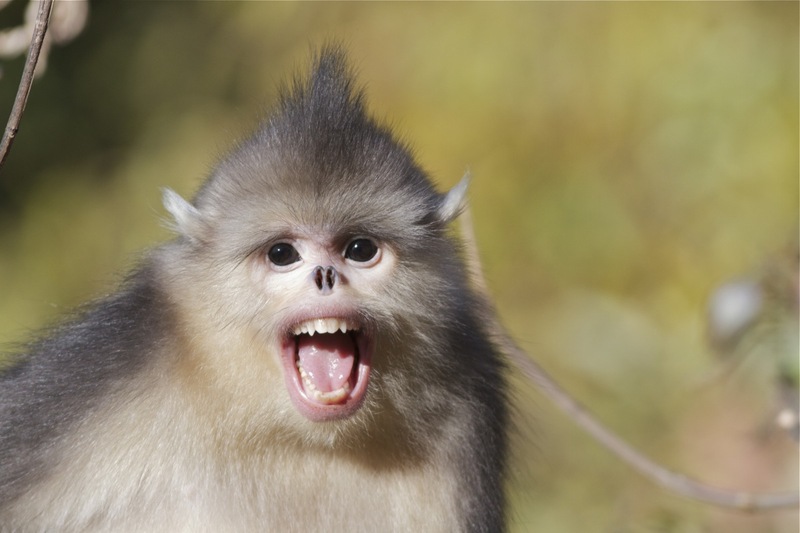 Definitely, monkeys have lot of facial expressions. I saw a documentary long time back about a similar kind of reserve in Shaanxi where the reserve staff feed the Golden-snub nosed monkey. I will mail you regarding your trip to Yunnan for few tips ;-). I have an upcoming trip. Thanks Dev. I will help as much as I can but my Yunnan experience is not extensive! I wish I could see all the 4 species of Chinese snub-nosed monkey in the field some day. Next Next post: Oriental Plovers – they’re back!